NIA CHARLESTOWN NEVIS (September 05, 2014) — Premier of Nevis Hon. Vance Amory will travel to the United States of America over the weekend where he will be one of the main speakers at a conference at the Four Seasons Hotel in New York on Tuesday September 09, 2014. A statement released about Mr. Amory’s travels, said the main focus of the conference would be Nevis and the investment opportunities that were available on the island. “Premier Amory will be one of the main speakers at this conference which has been organised to showcase opportunities for investment in real estate development, investment in tourism-related projects (resort and condominium properties) and he will also highlight opportunities for investment in government-owned projects as well. “The Citizenship by Investment initiative will be promoted as well as this has become a really significant attraction for investors who seek to invest in St. Kitts and Nevis to secure a citizenship to facilitate their travel to do business around the world. “There will be also speakers who have interest in developing real estate projects in Nevis, among them representatives of the Four Seasons Real Estate Development Company,” the statement said. However, one day before the conference, the Premier will meet with private individuals in an effort to follow up on previous meetings to discuss their possible investment in Nevis. On September 10th Premier Amory is slated to meet with David Neufeld to discuss matters which would have a direct impact on Nevis’ Financial Services Sector. “Mr. Neufeld is a well-known US Attorney who was instrumental in helping the Concerned Citizens Movement Administration to develop the Nevis LLC and the Nevis Exempt Trust Legislation in 1995 and has been working on preparing some amendments to those pieces of legislation to make them more attractive to users of the Nevis Financial Services,” the statement said. 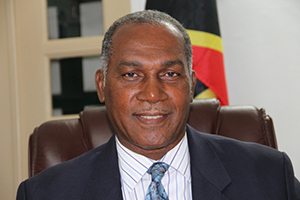 Mr. Amory returns to Nevis on September 14, 2014 and in his absence, Deputy Premier Hon. Mark Brantley will act as Premier.